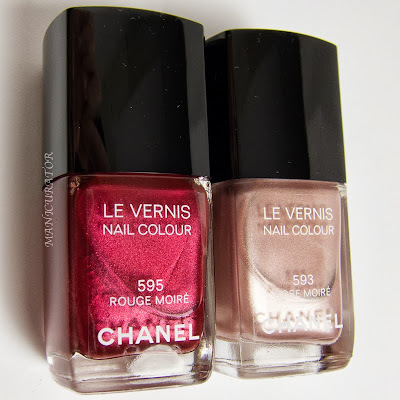 I'm sharing with you these two amazingly pretty vernis shades from the new Chanel Rouge Allure Moire collection, inspired by the softly glimmering effects of silk moire fabric. I picked up these babies while on a layover at Charles De Gaulle airport in Paris in August. 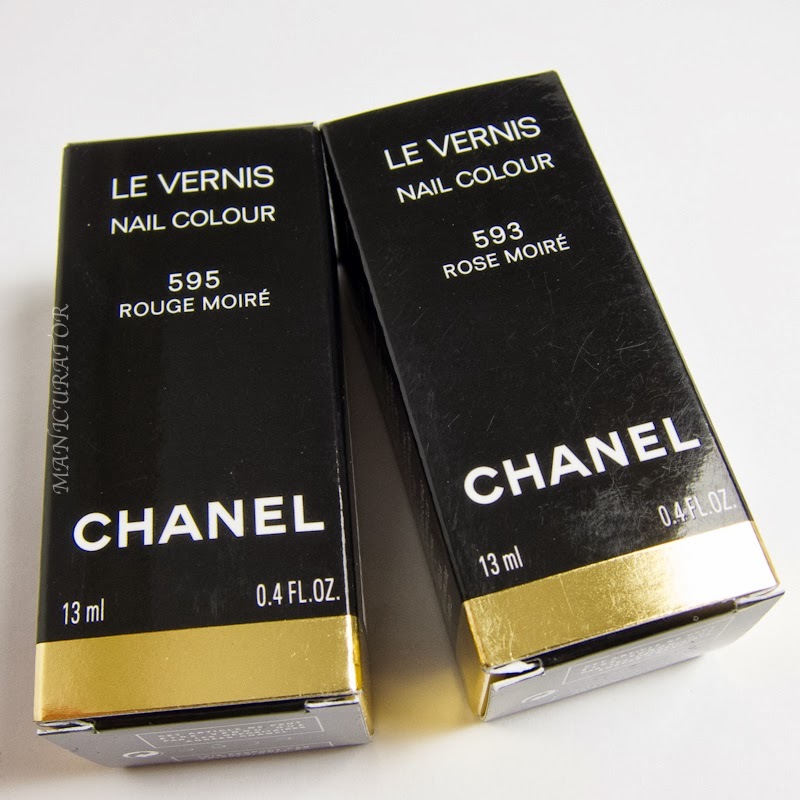 They are now on sale at Chanel.com and counters worldwide. They are both listed as Limited Edition, at $27 each. 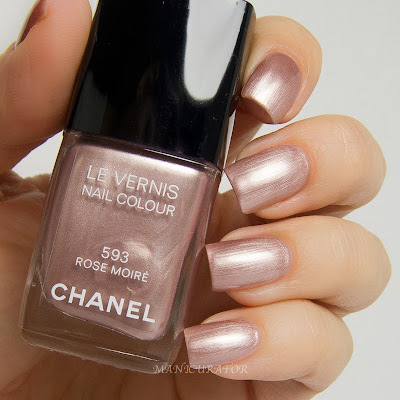 After wearing Rose Moire on it's own for 2 days, I decided to tape off the moon shape (using a craft punch) and add my nail art look with Chanel Rouge Moire - described as a pearly red. I have a feeling this could be a one coater, but I used two coats here, to ensure full coverage over the base color. There's no top coat in these photos. I love how these turned out. The colors are so so complementary and the nail art, in my opinion is an elegant one, well suited for Chanel. I'm so glad I picked these up! I know I'll be wearing them again, that's for sure. Please take a moment to see what the others created for this theme! Love this! The colors are perfect together!! Oh, I love the art! These colors are amazing. You're right, very complimentary colors! I like the unique design. Gorgeous! I'm dying for some Chanel!